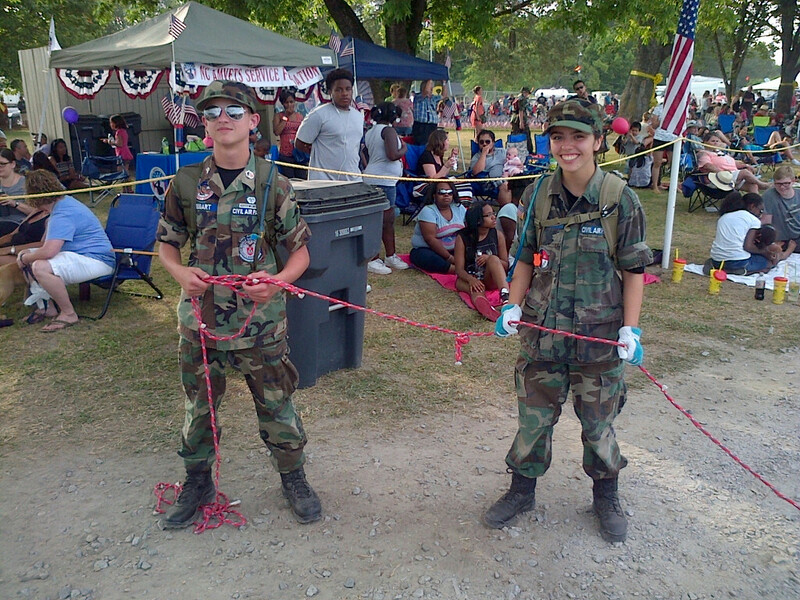 CAP members from the Apex Cadet Squadron and the Orange County Composite Squadron supported the 2016 WRAL Freedom Balloon Festival in Fuquay-Varina, NC, over the Memorial Day weekend. During the festival, CAP members did crowd control, vehicle marshalling and guarded the “Field of Flags” Veterans’ Memorial. 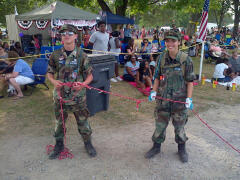 Two cadets continuously patrolled the Field of Flags every hour, including all during the night on Friday night. Capt Joshua Waters, Deputy Commander of Cadets for the Apex Cadet Squadron, stated that, “we’ve been able to get CAP’s name out to festival-goers and tell them about the Apex Cadet Squadron.” He noted that the uniformed CAP members had had dozens of inquiries from the public about CAP and its’ missions.